Dr. Beatriz R. Olson, arrived to America as a Cuban refuge in 1971. She received her undergraduate education at Barnard College, medical degree at Columbia University, internal medicine residency and endocrinology fellowship training at University of Pittsburgh, and postdoctoral training at the National Institutes of Health in Bethesda, MD. She has extensive publications in peer-reviewed journals on basic and clinical endocrinology research and development of integrative medicine communities. 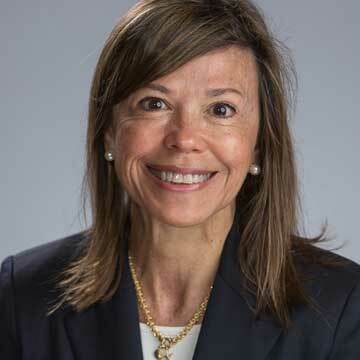 She is board certified in the fields of Internal Medicine and Endocrinology, Metabolism, and Diabetes. Dr. Olson has a certification in Age Management Medicine. She is past President of Connecticut’s Endocrine Society and is currently Clinical Assistant Professor of Medicine at Yale School of Medicine where she has participated in teaching medical students & residents. Her private clinical practice for the past 22 years has focused on an Integrative approach to Endocrinology and Metabolism problems. She incorporates complementary healing disciplines to help her patients achieve the highest state of well-being. She has received awards from the state of Connecticut for her work and commitment to women’s health care, and has been selected by her colleagues as Top Doctors in America various times.